After years of experience with PushButtonEngine from the PBLabs company, they released PushButtonEngine 2. PBE2 was a quantum improvement on PBE1, but PBE2 had a short life before being rebranded as Smash. It is now available at Smash.io and I have completed a simple, complete demo game. By default most game developers use inheritance-based architecture. Make a class and fill it with method-based functionality, then subclass and subclass to create a hierarchy (e.g. PlayerClass, EnemyClass, ItemClass etc…) of concrete classes. 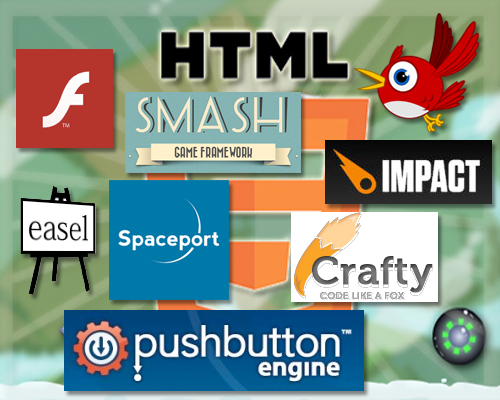 This has drawbacks which I outlined in article I wrote for Adobe “Developing Flash Games with the Pushbutton Engine“. It is a good read and still is relevant to how Smash works. I love component-based gaming. This means functionality is added as classes within an entity and is contrary to inheritance-based gaming. Its a bit of a mind-bender when you first start, but the benefits become obvious to most developers during his or her first project. Small core. Just 4 central classes to learn. Dependency injection. Wire game logic together. Component-based object model. Build complex game objects from simple components. Groups, sets, and object lifecycle. Track your game objects safely and avoid resource leaks. Debug Console. Log and command your code from a familiar command line interface. 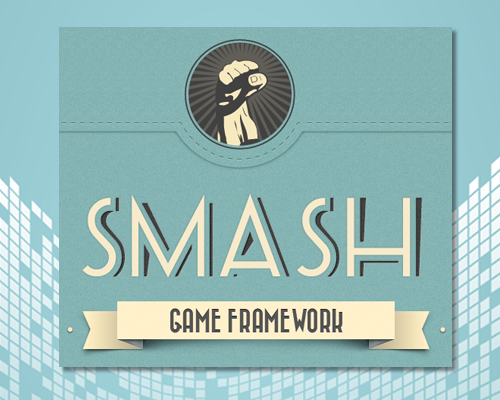 Join the Smash Game Framework group on LinkedIn. See the simple, complete “FlyerGame – One Game, Many Many FrameworksL” article (Has HTML5, Unity3D, and AS3 Stage3D versions! ).